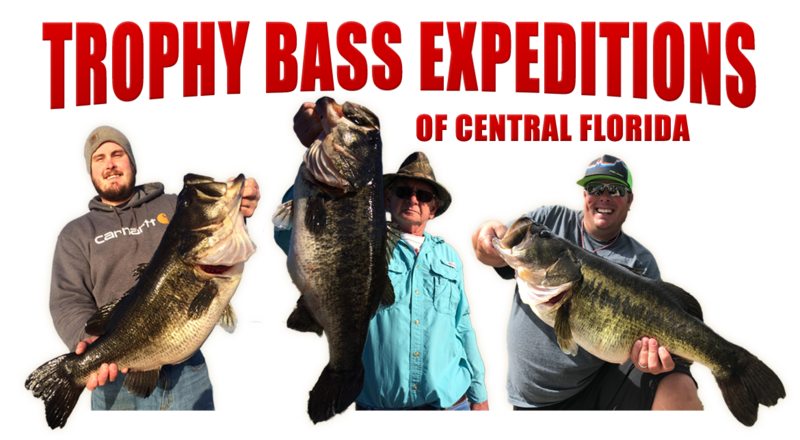 The St. John's river has been as synonymous with trophy bass as any body of water anywhere in the world. The river is 310 miles long and spans from roughly Fellsmere to where she dumps into the ocean in Jacksonville, Florida. It has been named one of fourteen American Heritage Rivers. It offers many wonderful fishing opportunities. The river either flows through or is fed by many of the states top fishing destinations. We basically will concentrate on the areas that we fish and are familiar with. This is basically the section just south of Astor to the Black Creek area up around Orange Park, Florida. One of our favorite stomping grounds in the lower section is Lake George. Lake George is the second largest lake in Florida covering some 46,000 acres! 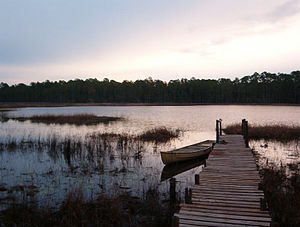 The relatively shallow lake is home to some fantastic bass and striped bass fishing. The bass fishing can be especially good for anglers targeting spawning fish, as the lake acts like a giant fish hatchery during the spawn. The tributaries that feed her such as Juniper Run, Silver Glen and Salt Springs Run boast some of the most beautiful and clear water you will ever witness. These areas are also a haven for spawning fish. The mouths of these tributaries can also be a huge congregation place for boat loads of striped and the hybrid Sunshine bass during both cold and warm water conditions, as the fish seek out the more regulated water temperatures these spring fed runs provide. Slightly north of Lake George you have the Welaka and Palatka areas. These can be great areas to catch schooling river fish. The "Croaker Hole" is also a legendary fishing area in the Welaka region that can be wonderful for bass and striped bass if you can find it and position your boat just right. We once caught 98 nice striped bass there in a few hours one afternoon! The Ocklawaha River also flows below Rodman Dam and into the St. John's in the Welaka area. The bass and striper fishing at times, especially during spans where a lot of water is being released from Rodman can be fantastic! From Palatka north to Orange Park you have many tributaries such as Rice Creek and Black Creek. The fishing can be good sometimes in these areas if you catch the fish schooling and moving. These areas are however more tidally influenced and also have a broader range of forage species such as lots of different shad, runs of shrimp, etc. that can make the fish, as most experienced guides in the upper region will tell you, a little finicky and sometimes a little harder to coax into biting. Another fantastic body of water up that was is Kingsley Lake. The lake is comparatively deep for a Florida Lake, but believe me friends when I tell you that it has some monster fish in her borders! We are a full time Jacksonville Florida Bass Fishing Guide Service and fishing charter service. We have been guiding around the greater Jacksonville, Florida area for over 25 years.